Danny Higginbotham has defended Raheem Sterling over his award of a penalty during Manchester City's victory against Shakhtar Donetsk. 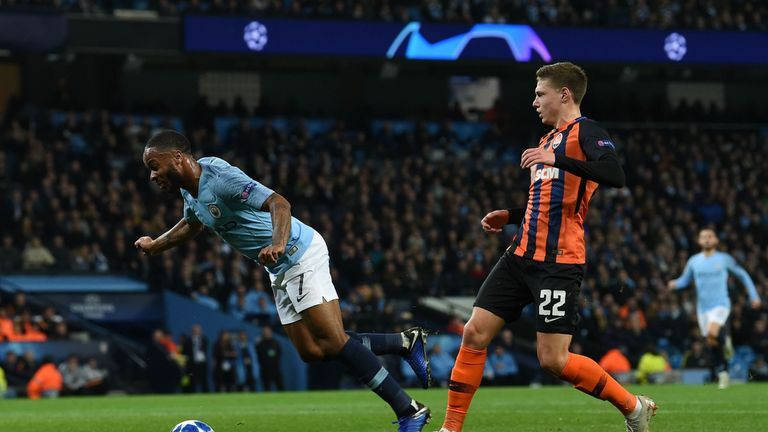 Raheem Sterling has come under unmerited criticism since he was awarded a penalty during Manchester City’s thrashing against Shakhtar Donetsk, says Danny Higginbotham. The England forward was given an unjust penalty by referee Viktor Kassai during City's 6-0 victory at the Etihad on Wednesday, after he tripped over his own foot under no pressure from an opponent. The incident has recalled memories of Robbie Fowler asking a referee to retract a penalty during a match against Arsenal in 1997, but Higginbotham does not believe Sterling should have followed suit. "In the heat of the moment you think very differently than what you may do when you take a step away from it," Higginbotham told Sky Sports News. "I have not had a situation like that but I have been on the pitch and done things where after the game I have gone 'what are you thinking?'. "It is in the heat of the moment, should he have any criticism going his way? I don't believe he should. "A lot of people have come and said he should go up to the referee and say that it is not a penalty but the referee may not change his mind and it is a decision that the referee has made." 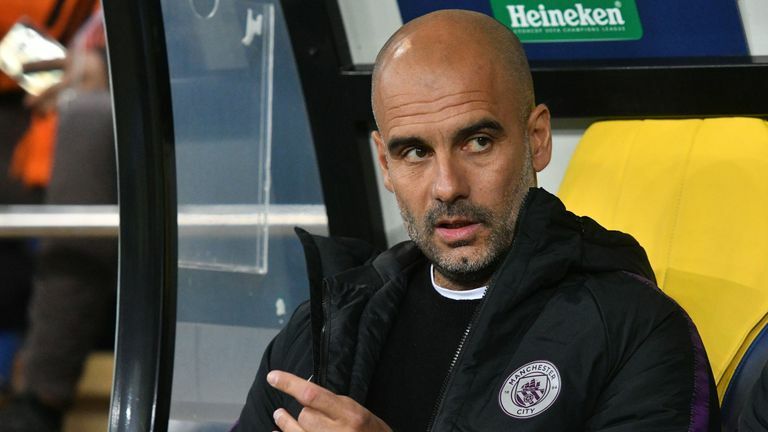 Sterling apologised to the referee and Shakhtar for the penalty and City boss Pep Guardiola admitted his player could have owned up to what happened. Higginbotham believes Sterling remains an easy target and "hindsight is a wonderful thing". Unfortunately anything that revolves around Raheem Sterling, we have spoken about it before, seems to come up quite negatively. "In those situations, you have referees who are there to referee the game. He has not dived, that is quite obvious when you see the replay, and has not gone looking for a penalty. "He has stubbed his foot and fallen over. Unfortunately, anything that revolves around Raheem Sterling, we have spoken about it before, seems to come up quite negatively. "We seem to look on the negative things because it gives people an opportunity to jump on his back again which I think is completely wrong." Higginbotham also questions whether there would be the same uproar if the decision was the other around. "I am not trying to flip it over but if a defender fouls an opposition player in the box, and the referee doesn't give a penalty, that the defender should go up to the referee and say 'that should be a penalty'?" Higginbotham said. "That is not going to happen. But why is there a difference between the two?" He added: "We are all very quick to judge but we are not in the heat of the battle, on the pitch at that time. "You need to take a step back, it is what it is. Sterling will have his point of reference on how he should have gone about things."